Here are our winners for the Halloween Contests! Thanks to all who joined and sent their very interesting entries. I had a fun time judging and seeing your costumes and rooms, as they are all quite good. But there can only be one winner per category. Read more to see the winners. Our first guest for the revival of Behind the Keyboard is none other than Sumayyah! Because of different time zones, we had a bit of trouble setting our meeting. But in the end, the interview is finally here. Sumayyah has been a Socian for more than two years now. She loves to shop, so I usually get to talk to her in Set List blog posts. She’s a regular customer, placing orders week after week, whether it’s a piece of furniture or a new skirt. She’s also very active in SocioTown’s FB page and in the game’s contests. Let’s know more of this very active Socian, shall we? Here’s Sumayyah! Summer Fashion Contest blog feature: Angelcloe! 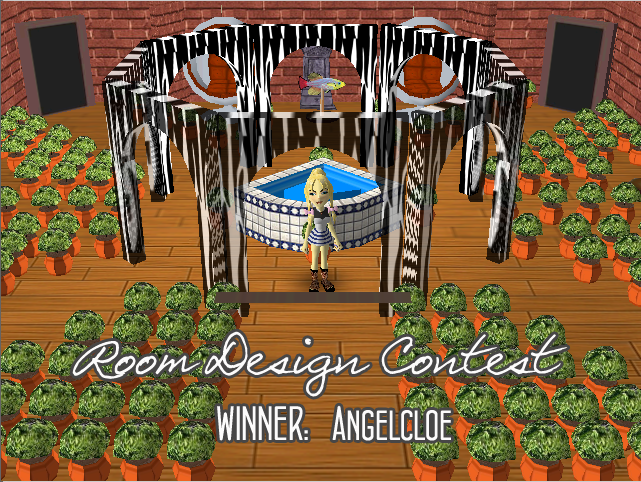 The last feature from our summer contest is here: featuring our Room Design Contest winner, Angelcloe! If you’ve never been to Angelcloe’s room, then you should really stop by and have a tour if you have the time. It has numerous rooms, with different color-themed rooms and lots of furniture. She has couches and rooms for guests, and even a huge dining room for a big-group dinner. Blogs are a great way to express ourselves. It can be a journal where you write your memorable experiences or even the everyday mundane things you do, or as an archive of resources that you want to share with anyone (images, music, art, info, etc). Either way, blogs can be a fun way to communicate and share things with your peers. Some of our Socians have made blogs dedicated to SocioTown and the experiences they get from the game. Today, we will be featuring their blog sites and the Socian owners of said blogs. Our Summer Fashion Contest blog feature is still not done! After Nimzy, our other winners will get a spot in our blog. In this post, it’s Arica1’s turn, a Socian who is also into fashion. It’s no mystery that Arica instantly joined our fashion contest. At first, Arica was a bit hesitant for this interview. Her main language isn’t English, and she was worried she might not be able to convey her thoughts well. 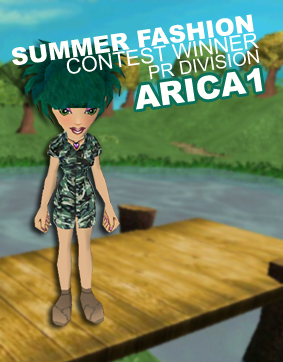 But with a little help, here is Arica1, our Summer Fashion Contest winner for the PR division! Remnants of the recently finished season still lingers, and even though summer has already passed and fall is almost at our doorstep, we still owe you a blog feature from our summer contest winners. Nimzy, our winner for the Summer Fashion Contest - Non-PR division has graced us with an interview! Check out what she has to say about her contest outfit, her plans for her prize money, and her own fashion thoughts and tips. She even shared a bit of “Science-y” trivia for all! Got anything to say? Watch out for me roaming around town and I might just ask you for a comment! 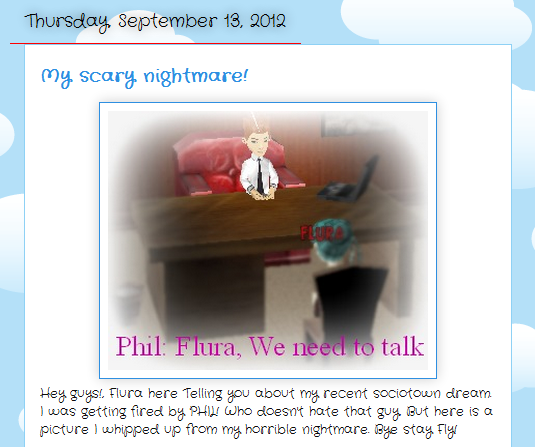 With your permission, I’ll screenshot what you’ll say and I’ll post it in SocioTown’s official Facebook page. You can say anything you want, as long as it doesn’t break any of our rules. Why do this when we can simply send letters or private messages to each other? Well, because it’s FUN, FUN, FUN! And just for the heck of it. 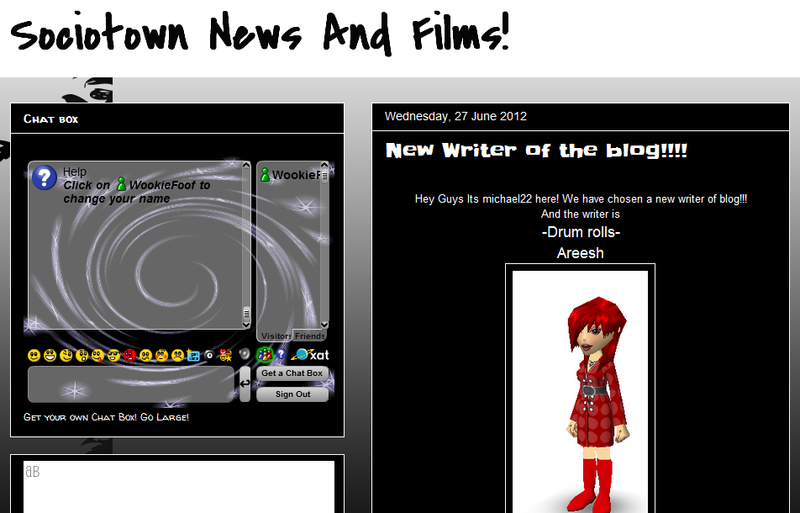 I’ve just posted our first screenshot for SocioTown Shout Out. Head over to SocioTown’s FB page to check the image. Don’t forget to comment. Greet anyone, confess your feelings, or just be random! This is SocioTown Shout Out! 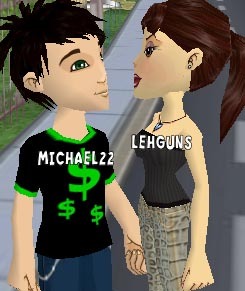 If you think that having a slight language barrier and time zone differences can hinder two Socians from spending a lot of time with each other, then read on to know more about Michael22 and Lehguns and how they became a couple. Congratulations to the both of them for winning the Couples Corner blog feature! Read on to know more about them!